That is what concerns me. For a President claim that the Army and Police are his personal protection force, for him to equate them to motorcycle gangs, for him to say that Nazis are fine people is extraordinarily evil and in complete defiance of the oath that he swore when he became President. In the past he has said similar things and during his campaign offered to pay the legal fees of anyone charged with attacking his opponents at his rallies. Should a war break out, should there be a major terrorist attack, or anything that severely disrupts the country the mechanisms are in place for the President to declare the situation extraordinary and to take power. The thing is that no President has acted in such a way, but President Trump has repeatedly suggested violating the Constitution and praised foreign leaders like Dutarte, Putin, and Erdogan, men who all use such circumstances and laws to their advantage. In our time that is the most important consideration. With the complete Trumpification of the Republican Party that day is today. he has for all intents and purposes given political cover for his supporters to commit violence on his behalf. The peril is mounting. This is a part of my yet to be published book, Mine Eyes Have Seen the Glory: Race, Religion, and Ideology in the Civil War Era. I have posted it before, but as I watch what is going on in the world and President Trump’s militantly isolationist America First foreign policy which often uses the words and images of Manifest Destiny and American Exceptionalism I thought it might be good to post it again. That past was mythologized in American history and popularized often on film and in print. Since the President admits that does little reading and engages in less critical thought it is obvious that most of what he knows of American history comes from the mythologized past. This includes the concept of Manifest Destiny and American Exceptionalism. These concepts are the result of a racially and religiously based glorification of imperialistic conquest that resulted in the extermination or enslavement of millions of people in North America, as well as in the Philippines, Mexico, Central America and the Caribbean. While the President himself shows little evidence of actually believing in any God but himself he certainly does relish the accolades of these political creatures who call themselves Christian preachers. Goldwater in his later years exhibited a certain insight into the dangers of the movement that has taken over the GOP. The foreign policy of the United States nearly always reflects to one degree or another a quasi-religious belief in the continued importance of the United States in spreading democracy around the world. The West came to be viewed as a place where America might be reborn and “where Americans could start over again and the nation fulfill its destiny as a democratic, Protestant beacon to inspire peoples and nations. By conquering a continent with their people and ideals, Americans would conquer the world.”  The westward expansion satiated the need for territorial conquest and the missionary zeal to transform the country and the world in the image of Evangelical Christianity. The man who coined the term “Manifest Destiny,” New York journalist John O’Sullivan a noted that “Manifest Destiny had ordained America to “establish on the earth the moral dignity and salvation of man,” to disseminate its principles, both religious and secular abroad,”  and New York Journalist Horace Greely issued the advice, “Go West, young man” which they did go, by the millions between 1800 and 1860. Just as the deeply Evangelical Christian religious emphasis of Manifest Destiny helped shape American domestic policy during the movement west, it provided similar motivation and justification for America’s entry onto the world stage as a colonial power and world economic power. It undergirded United States foreign policy as the nation went from being a continental power to being an international power; claiming as Hawaii, and various former Spanish possessions in 1890s, and which would be seen again in the moralizing of Woodrow Wilson in the years leading up to America’s entry into World War One. 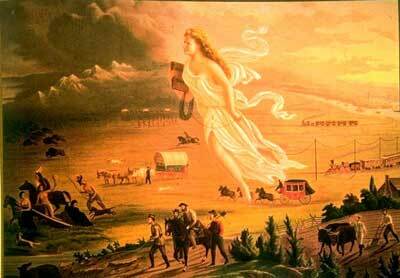 One can see the influence of Manifest Destiny abroad in a number of contexts. Many American Christians became missionaries to foreign lands, establishing churches, colleges, schools, and hospitals in their zeal to spread the Gospel. As missionaries spread across the globe, American policy makers ensured their protection through the presence of the United States Navy, and missionaries frequently called upon the United States Government for help and the naval strength of the United States during the period provided added fuel to their zeal. 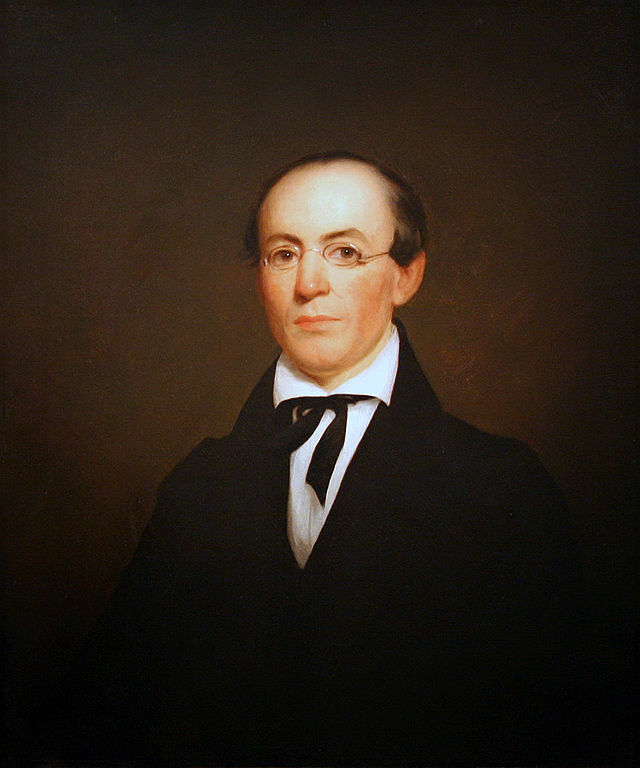 In 1842, Dabney Carr, the new American ambassador to the Ottoman Empire“declared his intention to protect the missionaries “to the full extent of [his] power,” if necessary “by calling on the whole of the American squadron in the Mediterranean to Beyrout.”  Such episodes would be repeated in the Middle East, Asia, the Pacific, and Central America over and over again until the 1920s. But the result, regardless of whether McKinley heard the voice of God, or took the advice of advisers with imperialist, business, or religious views, he made the choice to annex the Philippines, believing it to be the only rational course of action, and something that he could not avoid. In a sense McKinley, of who Barbara Tuchman wrote “was a man made to be managed,” and who was considered spineless by Speaker of the House Thomas Reed who said “McKinley has no more backbone than a chocolate éclair.”  It appears that McKinley was more convinced by the arguments of those who desired to annex the Philippines for military reasons, a business community which saw the islands as a gateway to the markets of Asia, and by Protestant clergy, who saw “a possible enlargement of missionary opportunities.” He rejected a proposal by Carl Schurz who urged McKinley to “turn over the Philippines as a mandate to a small power, such as Belgium or Holland, so the United States could remain “the great neutral power in the world.” The combination of men who desired the United States to become an imperialist and naval power, business, and religion turned out to be more than McKinley could resist, as “the taste of empire was on the lips of politicians and business interests throughout the country. Racism, paternalism, and the talk of money mingled with the talk of destiny.”  Though there was much resistance to the annexation in congress and in the electorate, much of which was led by William Jennings Bryant, but which crumbled when Bryant with his eyes on the Presidency embraced imperialism. I have to admit that the amount of ignorance in the defense of evil that I see daily is simply mind blowing. It makes me shake my head. But then I cannot be surprised anymore. Over the weekend I saw a poll in which nine percent of Americans said that holding White Supremacist or Neo-Nazi views and ideology was okay. Now nine percent doesn’t sound like a big number or anything to worry about until you extrapolate that percentage into the numbers of people who hold that view. Based on the population of the United States that nine percent equals about thirty million individuals. Now I’m sure that many of these patriotic Americans are not card carrying Klansmen or Nazis, but the fact that they would turn a blind eye to the evil of both in the name of some incomprehensible moral equivalence as did President Trump after Charlottesville is quite disturbing. Perhaps it is his example that enables them to be so open about their acceptance of evil. Yesterday on my Facebook page a friend of a friend commented on an article which discussed new research that indicates that the Nazis in their occupation of the Ukraine killed perhaps a half million more Jews than previously believed. That woman made the comment that there were others, and yes that is true. Had the Nazis won the war tens of millions more of the Jews as well as the Slavs who they referred to as Untermenschen or subhumans would have been killed, either directly or through a policy of intentional starvation. But make no bones about it, from the months that Hitler spent in Landsberg prison for his role in the Beer Hall Putsch of 1923 writing Mein Kampf until the end of the war as the Red Army closed in on his bunker in Berlin, the Jews above all were the object of his personal hatred. Close to six million Jews and millions of others were killed by the Nazis. 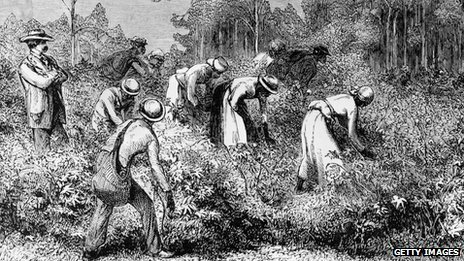 Millions of Africans were enslaved in the United States and even after emancipation were by law treated as less than full citizens. 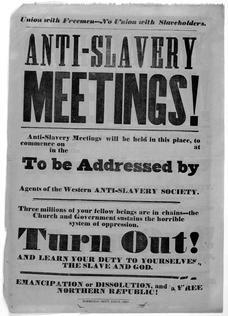 Under Jim Crow they were discriminated against at every level of government including states that were neither a part of the Confederacy or not even States when the Civil War was fought, they were impressed as forced labor under the Black Codes and thousands were murdered, often in public by people who brought their children to watch Black men die. But these people were not just numbers. It’s all to easy to blur them into a mass of dehumanized humanity by talking about the millions, when every single one was a human being, yes, I believe created in the image of God. We have to see their faces and we have to recognize their essential humanity as men and women, children, fathers, mothers, brothers, sisters, husbands and wives, whose lives were in the case of the Jews obliterated as if they never existed, and others like African slaves who were simply property. I explained that in quite a few fewer words and told her that she shouldn’t challenge me on the subject, which of course she did. So I went into more detail and shot her argument down in flames, to the cheers of other commentators on the post. When you have spent much of your academic life studying a subject it really gets old hearing people make excuse for evil by trying to minimize that evil, especially against the targeted people. It’s like Confederate apologists saying that the institution of slavery which enslaved millions of Africans was actually worse for White people. 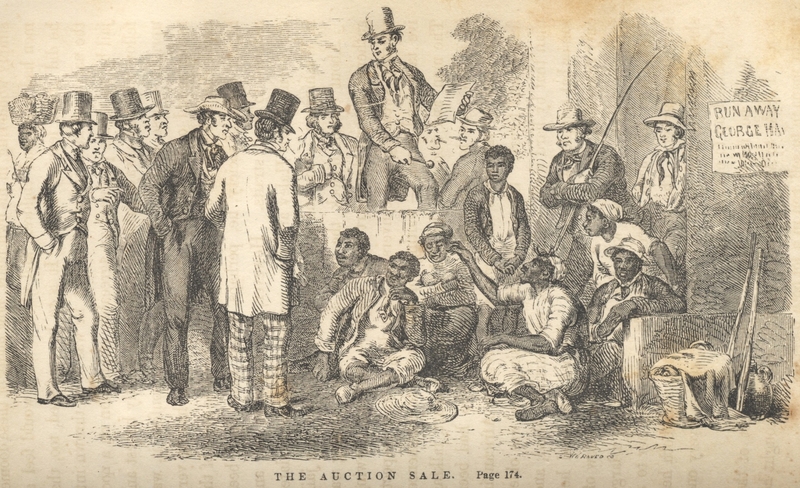 Yes it is true that many poor whites benefited little from slavery, but they were not bought and sold as chattel, sold away from their wives and children, whipped, and marched across country in chains to new owners, or yes even killed simply because they were not considered human beings but property. So there are about 30 million Americans who believe that holding Nazi and White Supremacist beliefs is okay. A few years ago I would believed that the number was lower, but after seven months of living in Trump’s America I believe that it might be even higher than the poll indicated. I only say this based on the postings I see on various social media platforms, news comment pages, the proliferation of websites that cater to these beliefs, and the lack of real condemnation of such individuals by the majority of the GOP Senate and House majorities, and the outright defense of them by other GOP representatives at the Federal and State level. These people have not learned the lessons of the Holocaust, nor American slavery. Again I don’t believe that the majority of these people are real card carrying Nazis or Klansmen. Most would probably be considered great citizens: they work, they raise families, they go to church, and many would claim that they have “a Black or Jewish friend” so obviously they cannot be racists. But that being said they turn a blind eye to the evil of race hatred and White supremacy, and sometimes join in on social media meme wars where they mock the victims. But no matter what, not condemning the purveyors of White Supremacist or Neo-Nazi ideology, or by using the arguments of moral equivalence to minimize those crimes against humanity makes these people as complicit in the past, present, and future crimes of Naziism as if they were. Since they were human beings the Nazis were not unique to history. In every era of history human beings have committed atrocities, many in the name of some kind of ethnic, religious, or nationalist ideology of supremacy that held other people to be less than human. That may sound harsh, but it is all too true based on history. Janning, to be sure, is a tragic figure. We believe he loathed the evil he did. But compassion for the present torture of his soul must not beget forgetfulness of the torture and the death of millions by the Government of which he was a part. Janning’s record and his fate illuminate the most shattering truth that has emerged from this trial: If he and all of the other defendants had been degraded perverts, if all of the leaders of the Third Reich had been sadistic monsters and maniacs, then these events would have no more moral significance than an earthquake, or any other natural catastrophe. But this trial has shown that under a national crisis, ordinary – even able and extraordinary – men can delude themselves into the commission of crimes so vast and heinous that they beggar the imagination. No one who has sat through the trial can ever forget them: men sterilized because of political belief; a mockery made of friendship and faith; the murder of children. How easily it can happen. There are those in our own country too who today speak of the “protection of country” – of ‘survival’. A decision must be made in the life of every nation at the very moment when the grasp of the enemy is at its throat. Then, it seems that the only way to survive is to use the means of the enemy, to rest survival upon what is expedient – to look the other way. Well, the answer to that is ‘survival as what’? A country isn’t a rock. It’s not an extension of one’s self. It’s what it stands for. It’s what it stands for when standing for something is the most difficult! Before the people of the world, let it now be noted that here, in our decision, this is what we stand for: justice, truth, and the value of a single human being.